The ground floor kitchen/living/dining area is fitted with a small kitchen with electric cooker and grill, microwave oven and all necessary cooking and dining equipment. The room has a pine table and chairs by the patio doors that open to a baroque area, There is a two seater recessed seat by the fire suitable to sleep one person and two arm chairs, the area is also fitted with a pellet burning stove room heater. There are two ground floor bedrooms, one room with double bedroom and one room with double and single bed. The loft room which is over looking the living area has a single bed and space for camp-bed, all rooms are fitted with pine furniture. The bathroom has a full size bath with power shower over. The cottage has an oil fired central heating system and a solar panel to assist with heating domestic water. 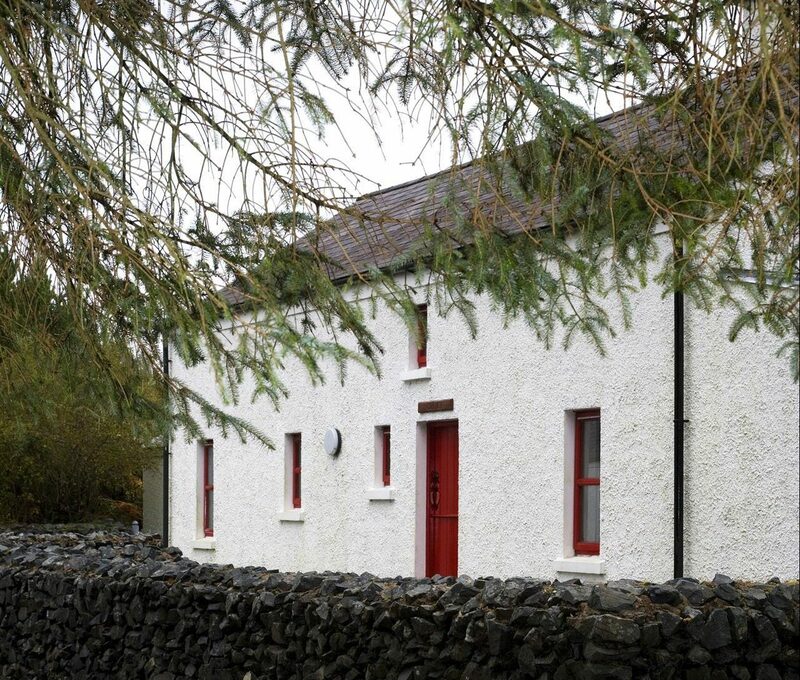 The cottage is in the grounds of An Creagán with a wide range of activities and events for all the family. Each Cottage has parking facilities and Barbeque, there is a small lawn at the back of each cottage (non-fenced).